Spring is here in Eastern NC and the weather has been wonderful lately. Whitney and I haven’t published many posts this past month, and much of that is due to us having busy weekends (combined with being lazy :D). In the evenings during the week we have been making sure to get all of our continuing education done for 2018 so that we don’t have to worry about it while out of the country. The big trip is now only a little over six weeks away and the closer it gets, the more nervous I’m getting! 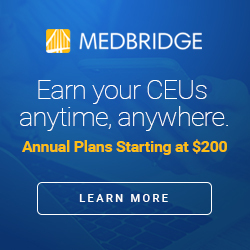 For our continuing education, we have been relying heavily on MedBridge which has been a lifesaver for us while traveling. They offer high quality courses at a very reasonable yearly price so that we don’t have to settle for subpar overpriced weekend courses. 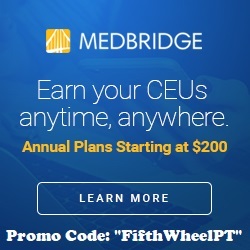 Check them out and use code “fifthwheelPT” for the discounted yearly price if you’re in the market for quality CEUs! In addition to MedBridge, Whitney did find a good day course on treating runners that was only a couple of hours away from where we are living. She enjoyed it and definitely learned some things. My brother, Joseph, came to visit for a week while on a short break from his PTA program prior to starting his first clinical. While he was here we went to an awesome free airshow at one of the military bases near us. The show featured the Blue Angels and their performance was truly amazing! Joseph went to the beach a couple of days while here, and I even got to meet him there after work one day. Living at the beach definitely has some perks and being able to go enjoy the evening at the ocean after work is one of them! Another perk of living at the beach is being able to go boating with friends on the weekends. We went with some of our friends on their boat to the nearby barrier island of Cape Lookout National Seashore, which was beautiful and a lot of fun. The water is also finally warm enough to swim in so we went for our first swim of the year in the sound near the island. We’ve done our best to enjoy the weather before summer rolls around and it gets uncomfortably hot. One of Whitney’s best friends spent a week with her family at Emerald Isle in May, and we were able to visit them there for another day at the beach. This is definitely the most sun either of us has ever had by this time of year! Whitney turned 28 years old at the end of May, and she enjoyed a week-long birthday celebration to which she has become accustomed. We had a wonderful dinner on the water on the evening of her birthday which she enjoyed. The weekend of her birthday also coincided with Memorial Day, so we took advantage of the long weekend to go back to Roanoke, Virginia to visit family. Although the weekend went by too fast, as it always does, we had fun during the visit and were happy to be home for a couple of days. 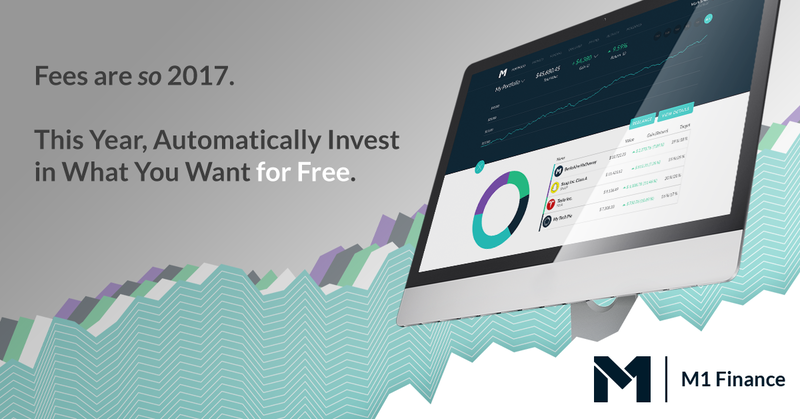 My investments did well overall in May, and I surpassed my savings goal which led to a boost in my net worth. Currently I’m still on track to reach financial independence this coming March, but our upcoming trip is definitely going to push that date back a few months. On a positive note, all of our major expenses for the trip have already been paid for, and I’m expecting enough money coming in from the blog while out of the country to cover the remainder of those expenses. That will mean that my investments will be free to grow in line with the overall market while we’re gone, and there’s even a small chance I’ll be able to continue to save a little bit each month! We also extended our contracts in Eastern NC by an additional week, which will mean one extra paycheck before we leave the country which makes me feel a little better. June will be a good month financially since there are five Fridays meaning five paychecks! I should also be getting a few hundred dollars in bank account bonuses this month, as well as a $200 credit card sign up bonus which should help me to easily surpass my savings goal for the month. I plan to publish more posts in June so stay tuned for updates on our trip including costs and itinerary, points we’re using to get our flights and 14+ days of hotels for free, and more travel therapy related content. Stay tuned! Posted on June 7, 2018 June 6, 2018 by Fifth Wheel Physical TherapistPosted in Monthly UpdatesTagged Doctor of Physical Therapy, DPT, Early Retirement, financial freedom, Financial independence, FIRE, index funds, Investing, money, Monthly Update, personal finance, Physical therapy, saving money, Travel physical therapy. Previous Previous post: Is it Better to Pay Off Student Loans or Invest? Next Next post: Financial Independence: The Power of Having Options!